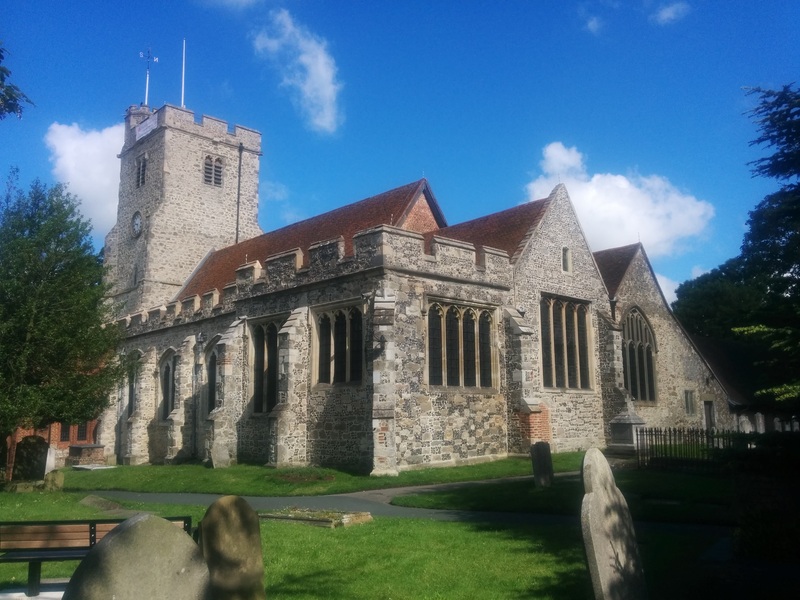 The Friends of Holy Trinity, Rayleigh has some 300 members who support and raise funds for the ongoing preservation and restoration of Rayleigh's oldest building, our medieval church. Their wish is that this wonderful building can be preserved and passed on for future generations of Rayleigh families to use and enjoy. On Saturday 16th February 2019 we will have another 'Whale of a Time' Games evening starting at 7pm in Holy Trinity Hall. Tickets are £4 for members of the Friends and £5 for others. Refreshments will be provided. On the 24th October 1996, a speaker from The Friends of Essex Churches told an inaugural meeting in Rayleigh of the great value that a 'Friends' group could bring to a church. The Friends of Holy Trinity were founded on that day with 80 members. 20 years have slipped by and with the passing of time so has come the passing of 40 of those trailblazers. 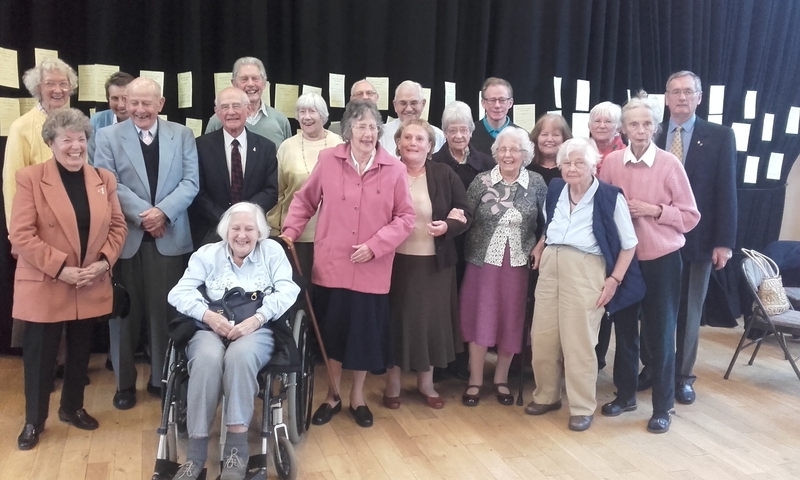 On 23rd October 2016, The Friends of Holy Trinity, Rayleigh celebrated their 20th anniversary by holding a Parish bring and share tea at which 20 of the original 80 were present. Founder member and chairman Jane Brown recounted the early days and told how the £4,000 raised after just 18 months was beyond their wildest dreams. Today membership stands at over 300 and in those 20 years just under £400,000 has been raised. Local MP and President Mark Francois expressed his gratitude as did the Rev'd. Nick Rowan. Since our church was built over 600 years ago, local people have maintained it - The Friends are doing exactly the same so that this generation can pass the building on for future generations to enjoy. Corporate members, The Rayleigh Company of Change Ringers celebrated by ringing a Quarter Peal and the Church Choir led the singing during the concluding service of Thanksgiving and Hope for the continuing success of this 'Special Organisation'. From 29th November to 2nd December 2018 we had the Christmas Tree Festival culminating with the Service of Light. On Sunday 28th October 2018 at 4pm we had the Friends' Annual Foundation Service preceded by tea and cake in the Underspire. On Saturday 22nd September 2018 we held a concert from Gaudeamus entitled '1918 And All That - A Concert of Musical Anniversaries' containing choral music to mark the end of World War 1, the deaths of Debussy and Parry, the beginning of votes for women and the birth of Leonard Bernstein. Over £400 was raised - thanks to Gaudeamus and all who attended despite the weather. The Garden Trail over the August Bank Holiday (26th-27th), despite a very wet Sunday, raised over £4000. Thanks to everyone who played their part in making the garden trail happen. There are so very many elements to this event that a large section of this page would be taken up by the list. Jane and the committee would like to thank those behind the scenes as well as those in the gardens and all the visitors. Some Friends and others enjoyed a Whale of a Time at our Games and Puzzles Evening on Saturday 17th February 2018. From November 30th to December 4th 2017 the Christmas Tree Festival was held in Holy Trinity Church - many visited and admired the decorated trees. On Saturday 14th October 2017 Mike Davies gave an illustrated talk along with an exhibition on "Rayleigh Through Time"
Re Tower Tours: to see a video taken on a previous occasion at the top of the tower click here. 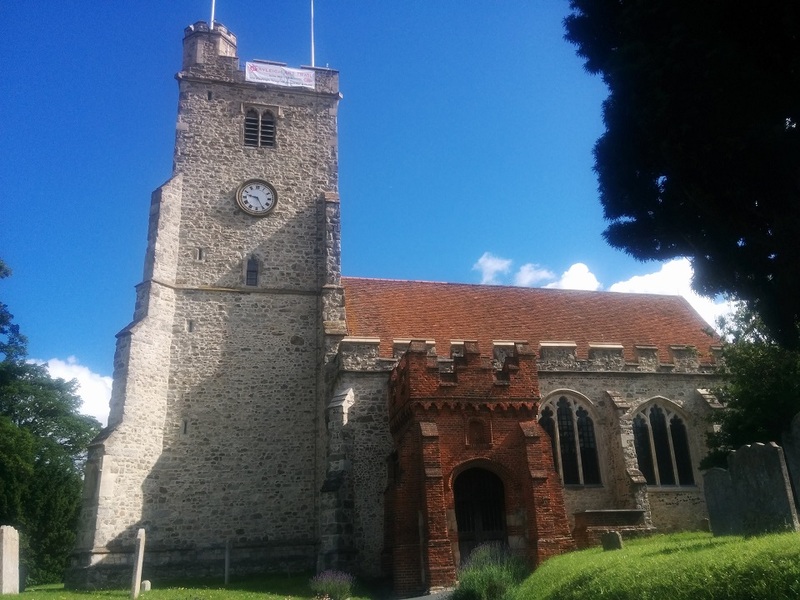 The Friends of Holy Trinity, Rayleigh is a separate charity founded in 1996 "to raise funds for The Parochial Church Council of Rayleigh specifically for the maintenance and beautification of the fabric of the ancient church of Holy Trinity, Rayleigh." We also reiterate Jane Brown’s message to Find another Member. If by chance you are reading this and you haven’t yet joined, please pick up an application form from Church or the Parish Centre or contact our Membership Secretary Karen Phillips 01268 776750 friends.membership@parishofrayleigh.org.uk. Members receive discounts on tickets to most Friends’ events along with the satisfaction of knowing they are ensuring that Rayleigh’s oldest building will pass to future generations in good repair. We are very grateful to the ‘Friends’ Committee who continue to raise funds for repairs and restoration work through a programme of events and activities. Since foundation over £400,000 has been raised. We thank all our supporters for giving their time to attend and help with events. If you would like to join our small, hardworking committee, please speak with Jane (01268 742215) for more information.